Hi! 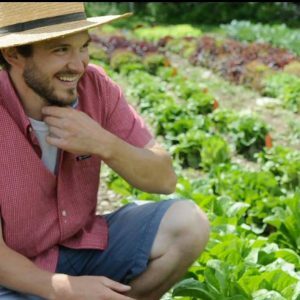 I’m Steve Rodrigue, owner/founder of Maine Raised Gardens. I graduated from the University of Maine in 2010, with a Bachelor of Science in Landscape Horticulture, and a concentration in design. During my summer breaks, in high school and college, I worked for the city of Augusta (Maine), installing and maintaining city planted gardens and trees. In 2009 I interned at Longfellow’s Greenhouses in Manchester. Most recently, for the past 5+ years I worked as a vegetable product technician for Johnny’s Selected Seeds. I was responsible for sourcing vegetable varieties of several crops from companies throughout the world, designing trials, and evaluating based on performance to ultimately make informed suggestions on which varieties should be added to the annual 200+ page catalog. In my free time, you can find me working around my homestead, finishing off my small 16’x20’ off-grid house, and establishing gardens, and fruit tree plantings with the help of my two guinea hogs, Wendal and Edward.